With cobblestone streets, horse-drawn carriages, and beautifully decorated Victorian homes, the breathtaking city of Savannah, Georgia, is ideal for Valentine’s getaways. Each February, couples flock to the Peach State to experience the magic and charms of this iconic Southern city. You can bond with your significant other over a delicious meal at a variety of award-winning restaurants, hold hands while strolling down River Street, or simply relax on a park bench and take in the beautiful sights and sounds. Whatever you choose to do, Valentine’s getaways in Savannah are guaranteed to ignite that spark! One of the most important aspects of any romantic trip is finding the perfect homestead to return to, and Presidents’ Quarters Inn will provide both luxury and privacy for much-needed “you time”. With stunning city views, vintage fireplaces, and jacuzzi bathtubs fit for two, the rooms and suites at our inn are the perfect place to wake up on Valentine’s Day. 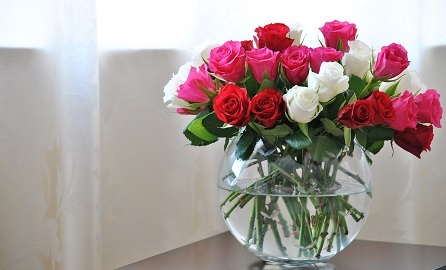 Here is our itinerary for having the most romantic holiday in Savannah. From picturesque squares and parks to renowned restaurants and shops, spending the day in Savannah’s historic district is the perfect way to reconnect with your significant other. Feel free to peruse the many museums and art galleries, or stroll through the perfectly manicured gardens. For a totally unique celebration of love, you can buy tickets for a Valentine’s Day River Cruise and enjoy a delicious brunch or dinner on the water, complete with live entertainment, unlimited champagne, and dancing. Cheers to the two of you! If you want to treat your significant other to a special Valentine’s Day meal but aren’t exactly a master chef, Presidents’ Quarters has you covered! Each morning, our staff prepares a gourmet Southern breakfast menu that is guaranteed to make your honey (and your tummy!) very happy. 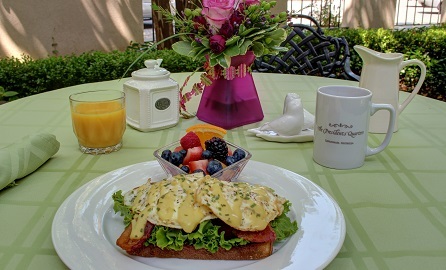 You’ll enjoy everything from freshly baked muffins and pastries to savory classics like eggs benedict and homemade quiche while soaking up some sunshine in the courtyard or relaxing in our beautiful dining room. Wash it all down with fresh juice, coffee, or a yummy mimosa, and you’ll be ready for the lovely day ahead. 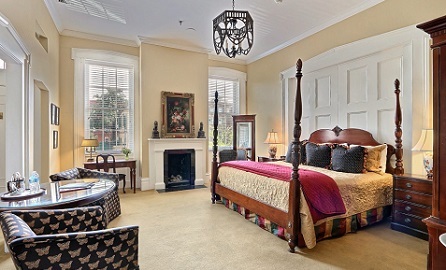 Our Romantic Getaways package is a wonderful way to surprise your special someone during your stay in Savannah. You’ll receive scrumptious French chocolates, a beautiful flower bouquet, and chilled champagne upon arrival, and can then head out on a peaceful carriage ride through town. Afterward, indulge with a $100 dinner gift certificate from us at the Savannah restaurant of your choice. Of course, every stay includes a complimentary signature breakfast, daily wine hour with hors d’oeuvres, and local on-site parking, so you can be sure that your Valentine’s Day will be as comfortable, relaxed, and romantic as possible. With so much to do and see, planning romantic trips to our charming city are a breeze – and when you book your stay at Presidents’ Quarters Inn, your significant other will thank you! 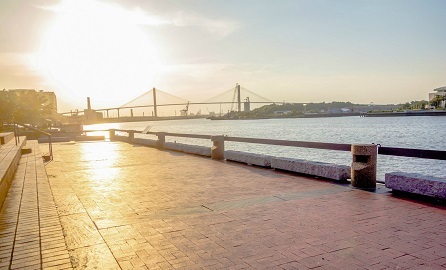 For more Valentine’s Day activities in Savannah, GA, download our free Savannah vacation guide.